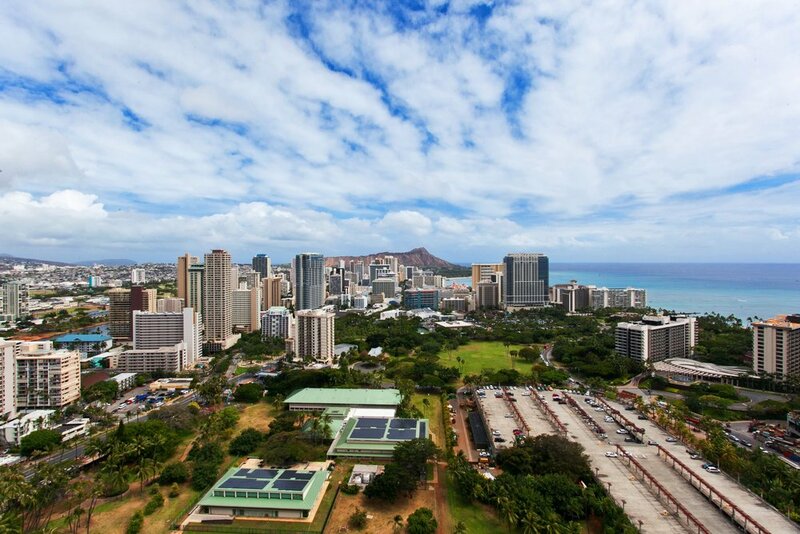 This high floor almost penthouse level condo has a HUGE 284 Sq Ft lanai perfect for admiring views over Ft DeRussy Park, Diamond Head, the ocean and expanded living for Al Fresco dining! A little over 1100 Sq Ft of interior living, this condo has two LARGE bedrooms with en suite bathrooms and comes fully furnished. Convenient to Waikiki & Ala Moana for shopping & sunbathing are the advantages to living here. New wood flooring in LR & MBdrm, new paint in LR & a renovated kitchen w/granite countertops!